The Connecticut College Psychology Journal provides undergraduate students with the unique opportunity to publish their original work. The editors would like to thank everyone involved in the creation of the 25th volume of the Psychology Journal. The generous support of the donors is greatly appreciated, as their financial support makes the publication of the Journal possible. The dedication of Dr. Jefferson Singer and Dr. Stuart Vyse, faculty advisors of the 25th volume, is deeply appreciated. 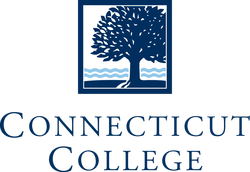 The Connecticut College Psychology Department provides motivated undergraduate students with the unique opportunity to publish their original work. The Journal is made possible by the time and effort of the faculty editors and advisors. The generous support of the donors is greatly appreciated, as their financial support makes the publication of the Journal possible.